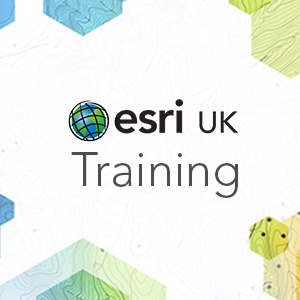 This two day course will introduce you to ArcGIS Desktop ArcMap). It is the first of 3 courses designed to give the user a solid foundation in using ArcGIS Desktop. This course will introduce you to the main functions of ArcMap. This includes the creation and manipulation of a map document, basic geographic data management, selection and analysis of data and creation of a map for output. If resources allow you will also be introduced to ArcGIS Online and create an online map. The course uses a combination of lectures, demonstrations and exercises that you will work through over the 2 days. You will be provided with the data and exercises so that you can work through them again in your own time. Note: It would be highly beneficial if you follow this course with ArcGIS 2 – Essentials of ArcGIS 10.x for Desktop as this course will only introduce you to the basic concepts/functions. ArcGIS 1 and ArcGIS 2 are complementary courses and to achieve a good level of ArcGIS skills/knowledge you need to attend both courses. ArcGIS 2 will build on this basic knowledge and introduce you to more tools and functions including the analysis tools. Return to your workplace with enough knowledge and confidence to start using ArcGIS to explore your own data. Create, manipulate and explore a map document using standard tools and techniques. What is ArcGIS? How can ArcGIS be used?